Enjoying a bite to eat in a common space is not a new concept. Istanbul’s Grand Bazaar, one of the largest public markets in the world, has been operating for over 500 years while mall food courts have only been around since the days of Fast Times at Ridgemont High. However, the Food Hall trend has lunch breakers, tourists and foodies in a craze, leaving mall food courts in the dust. In New York City alone, there are nineteen open food halls, with four having opened in the last year and five expected to open in 2018. 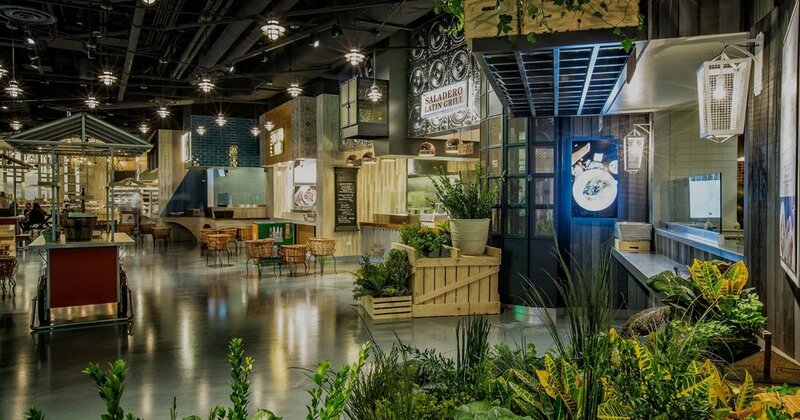 With these food halls creating a major shift in the dining experience, we beg the question – what makes a food hall more successful than a food court? Uninviting, dirty, and often leaving guests with doubt and disappointment, food courts have become the gas station bathroom of convenience. No matter which mall, most food court experiences are similar and follow the same mold; standard options, rickety seating and sterile lighting. 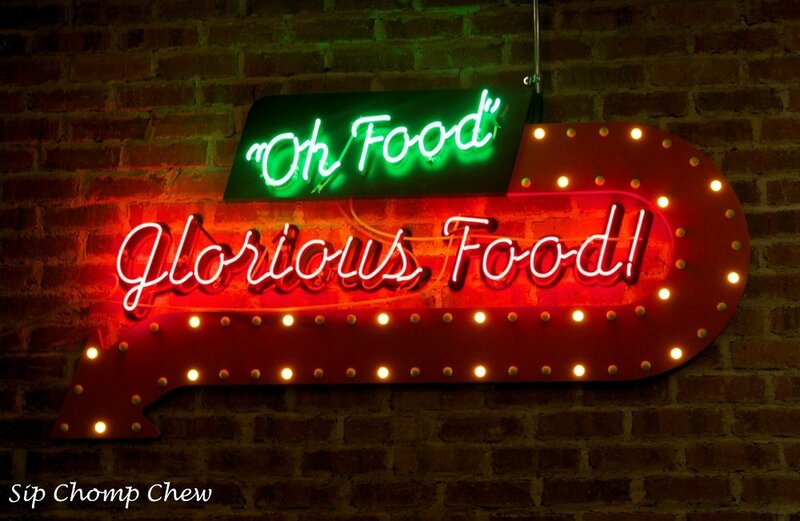 Food halls on the other hand, create a dining destination. Guests are presented with plentiful food options, ambient lighting and communal seating. Visitors create a bustling energy by perusing through each station until the final decision is made and the search for an open seat begins. Those who can’t find a seat, stand by the live music to enjoy the talents of a local musician. Everyone gets a unique experience depending on the day or their craving. The authenticity of food options, atmospherics and experience is what sets food halls apart from food courts. With that being said, what can designers do to create authenticity within food halls? While every food hall approaches aesthetics differently, most celebrate the various brands within the space. To avoid competition with each station, the shell of the food hall should remain fairly neutral, letting all the design focus go to creating the identity of the vendors. Each station should be true to its brand. Understand the vendor’s process, where they are coming from, and what their company values are. By understanding each concept to its fullest, designers can select finishes, graphics, signage and flow. If the finishes are true to the brand, authenticity is achieved. With each station different than the next, an exciting energy is created with each stall butted up against another. Although much of the design attention should go into the station identities, the food hall entrance and general aesthetics should not be left ignored. To create a destination, the food hall must be identifiable as its own place. Give it a trendy name, bold graphics, and unique signage. This overall aesthetic will help connect all the vendors together and create a level of organization. However, this must also be done in an authentic way too. There are many unique ways to do this, but one could integrate elements from the community or history of the building it exists in. Sprinkle these brand identifiers throughout common areas of the food hall as gentle reminders and reinforcement. Another item designers should consider when creating an authentic experience for food hall goers is seating styles. In some cases with over thirty vendors in one space, providing enough seating is imperative to create the right energy. Although giving the guests the option to grab their food and go is important, to create a dining destination, people should sit and stay for a while to enjoy the ambiance, go for seconds, or try multiple vendors. Leave the four-person tables in the past. Introduce ways for people to gather in groups, as if to set the stage for people to meet and engage one another. Bleachers, although unconventional and without an eating surface, offer a fun and flexible solution to communal seating and seat to square footage ratio is unbeatable. Another great solution is standing community tables as the elimination of chairs saves space, and you’ll get multiple groups sharing the same surface. Provide space for musicians and performers. Whether it’s a stage or simply an open space, live music only adds to the ambiance of a space. So leave the generic, convenient experience of food court dining in the past and make room food halls, a destination dining experience that is flooded with authenticity and energy. Food Halls are not only successful because they bring in local vendors, but each station has been designed using graphics, signage and materials that are truly authentic to each brand. Give the foodies, lunch breakers and tourists what they cannot get anywhere else – a unique experience full of ambiance and options.